Createspace Independent Publishing Platform, 9781494322847, 92pp. Arrested for driving on a suspended license, Angel Harper was less than prepared to deal with what happened next. Being stuck in jail is the least of her worries when she learns of the emergency she faces outside.. Her sister Lady, committed suicide while babysitting her son.. When Angel finds out her young son found his aunt, her mothering instincts kick into high gear - she needs to get out, setting the stage for a dramatic snowball of events. From page one Family Tree drops the reader into Angel's emotional roller coaster of liberation. Not only is she dealing with the death of her sister but faces a lifetime of trials that lead to that very tragedy. "Miss Carr's ability to capture how the mind truly works and divines connections is more than a little startling. 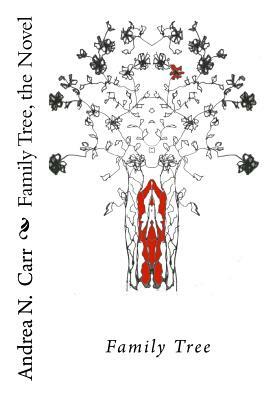 Family Tree The Novel is a must read for anyone." - M.J. Moores, OCT. Infinite Pathways Press "I haven't read an opening scene of a novel this potent since anything James M. Cain ever wrote. Slowly, through the steady hand of a literary surgeon, Andrea Carr reveals the sordid secrets of Angel's family, and the devastating effect it's had on her siblings." - Anthony Ewart, Associate Editor Hollywood Weekly Magazine. Andrea N Carr is an accomplished author/storyteller. She has been writing emotionally driven, self exploratory stories since 1999 from her homes in Orange County. Growing up in Santa Ana and Huntington Beach, she later moved to Los Angeles California after leaving a Mental Health Career, as a Psychiatric Technician for the State of CA. Miss Carr has the uncanny ability to weave words so cleverly and simply that her literary works create thought provoking images both vivid and personal that the reader cannot help but be moved with "soul honesty."